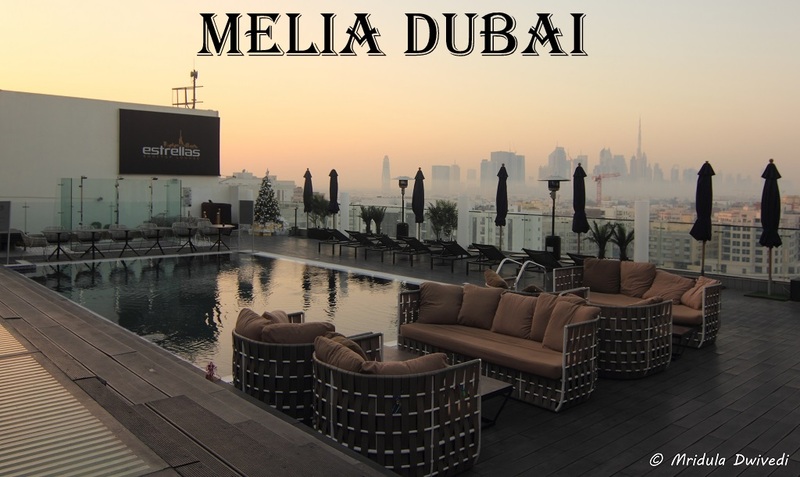 On my recent trip to Dubai I stayed at Meliá Dubai. I had a great stay with them. 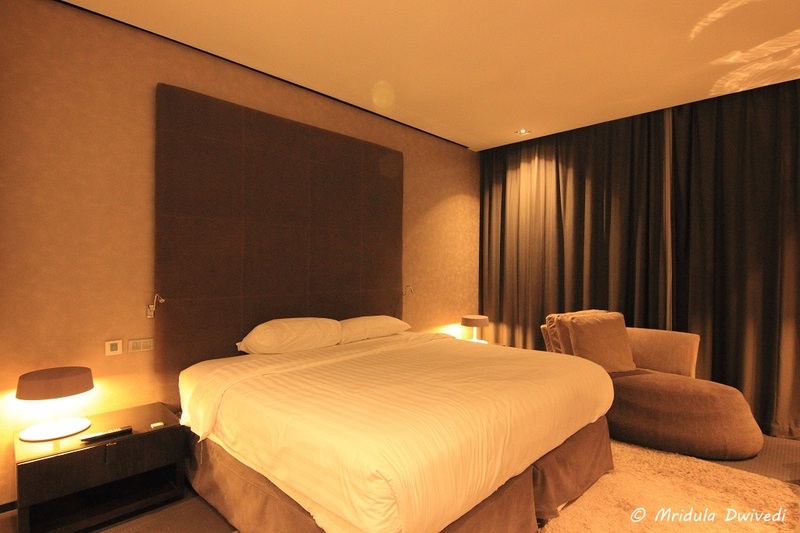 Meliá Dubai is a modern hotel with great rooms and a lot to do within the hotel itself. The hotel is located in the traditional Bur area and it is close to Dubai Museum and Dubai Creek. The good thing about FAMs is that you can arrive anytime and the hotel will find a room for you. I arrived past 1.00 pm. And within a few minutes I was given a room on the 6th floor. I had a view of the Burj Khalifa from my room. The room was huge. There was fast WiFi in the room. The working table was ample for all my gadgets. There was a king size bed in the room. The tea tray had enough supplies for me. 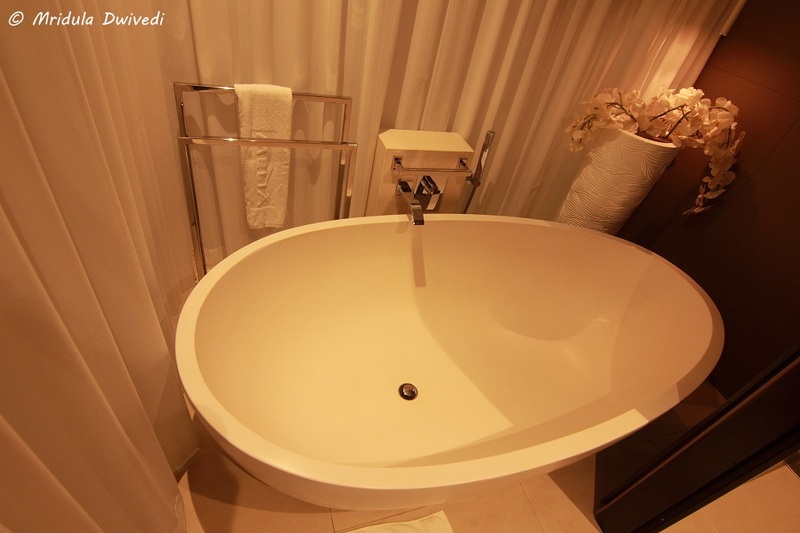 The bathroom had a bath tub. It had good supplies too. There was a separate shower area. 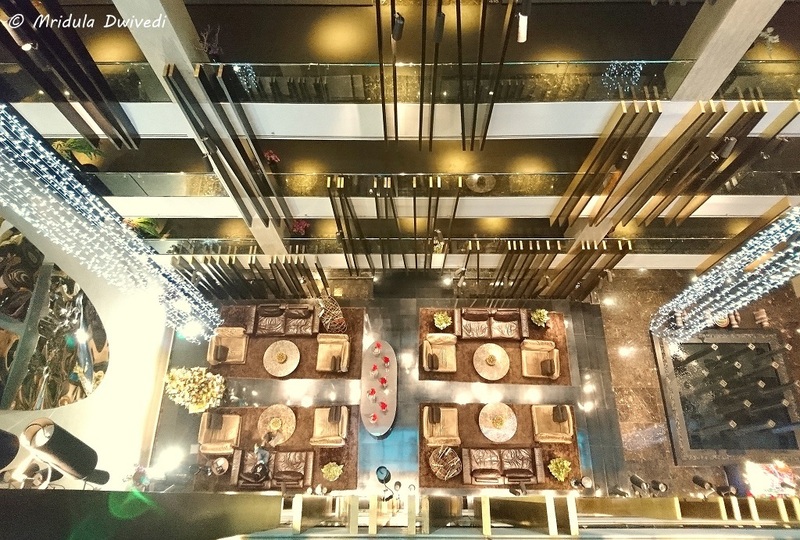 Meliá Dubai has a beautiful lobby. Though I did not hang around much there but I would often stand on the 6th floor for a while and enjoy looking at the lobby. It is beautiful whichever way you look at it. 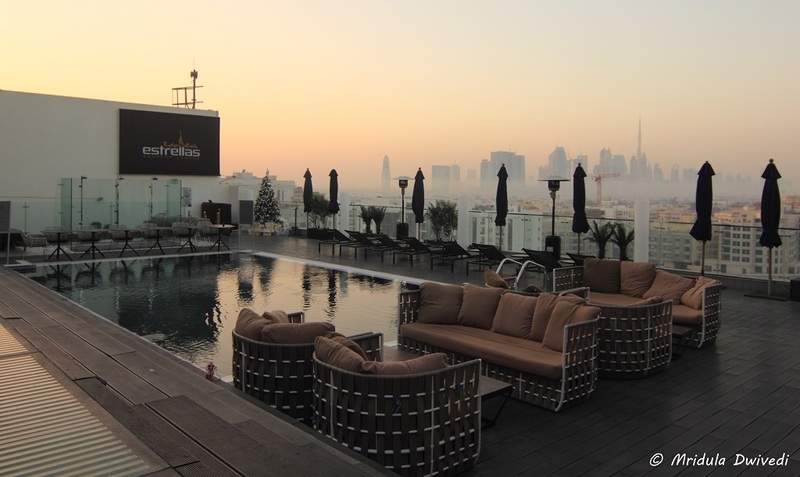 The rooftop of Meliá Dubai is gorgeous. I loved it for the view and the swimming pool. I also enjoyed eating the dinner at Estrellas the rooftop Spanish restaurant. It was lovely to sit there with a beer and enjoy the dinner of vegetable hakka noodles. Azalya is the all day dining place at the lobby level. I had my first lunch there and then it is the breakfast place for the hotel guests. I remember my lunch fondly for the local lentil soup. I would eat a healthy breakfast first and then finish up waffles or pancakes! I also saw a family enjoying idli at breakfast even though it as not the part of regular menu. 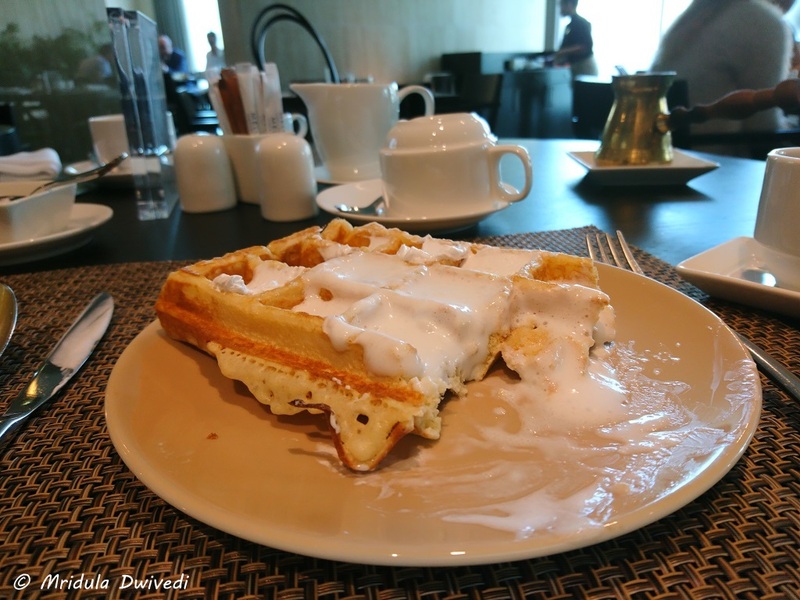 The Healty Breakfast would be Followed by Waffles with Cream! Even for me they would make masala chai, so I did not miss chai on this foreign trip! Meliá Dubai also has Signature by Sanjeev Kapoor. It is a fine dining Indian restaurant. I enjoyed the Chef’s Menu which was a multi course delight. It mixed molecular gastronomy with good old traditional Indian stuff like Dahi ke Kabab, chaat and much more! The session ended with Masala Chai with Chef Chandrachur! Meliá Dubai has YHI spa. 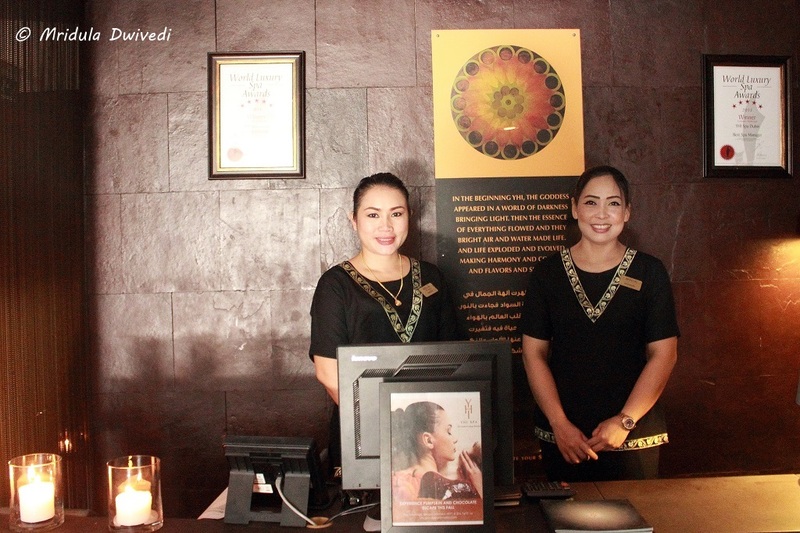 It has 7 single rooms, one double room with Jacuzzi, a Turkish bath, a relaxing water area and much more. I enjoyed my Moroccan Bath at the spa. It is a treatment with mud pack, skin scrub and orange peels. My skin is still glowing from it. 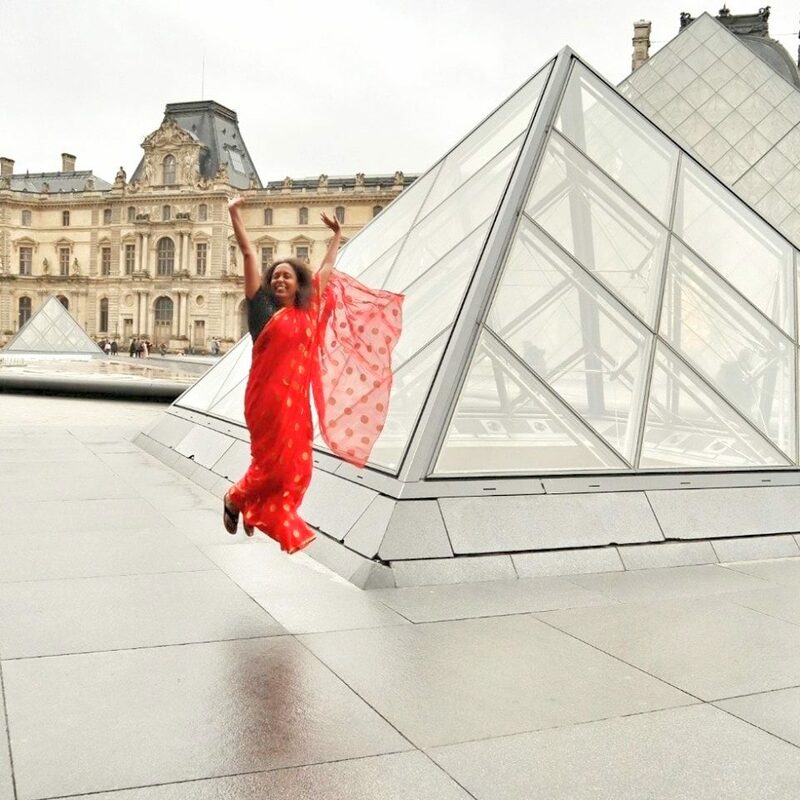 My check-out was at 1.00 am as I had a 4.00 am flight to India. My kind hosts flydubai had everything covered for me, all I needed was to sign off the bill. The hotel SUV dropped me to the airport. 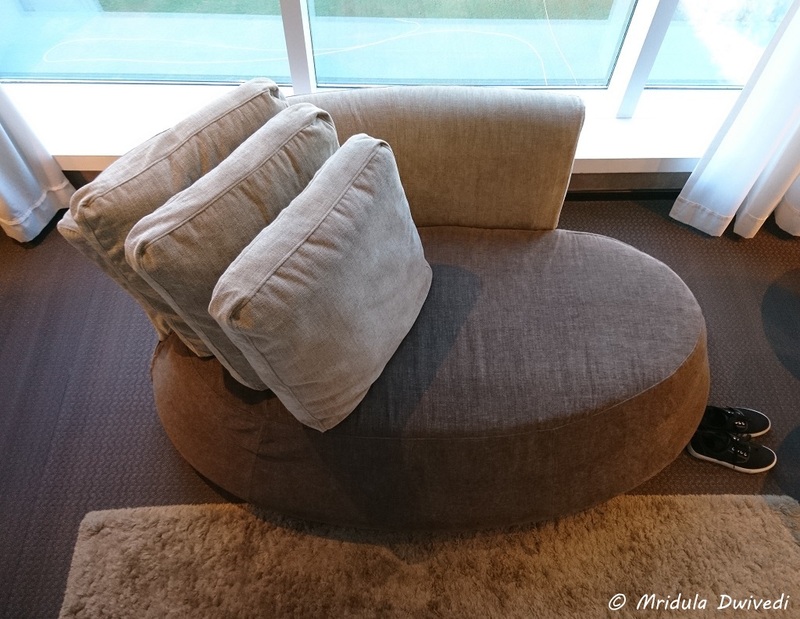 I had a Great Stay at Meliá Dubai! 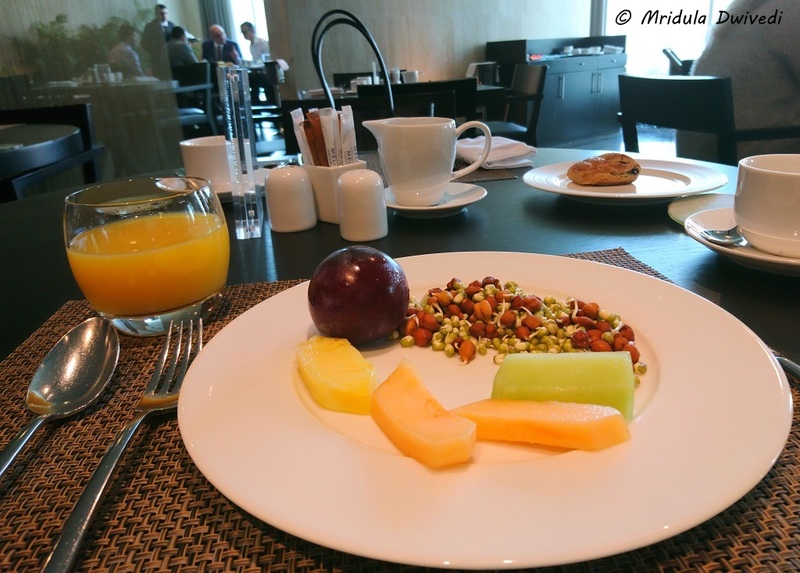 I had a memorable experience at Meliá Dubai. I loved the rooftop restaurant, it used to be busy all the time. 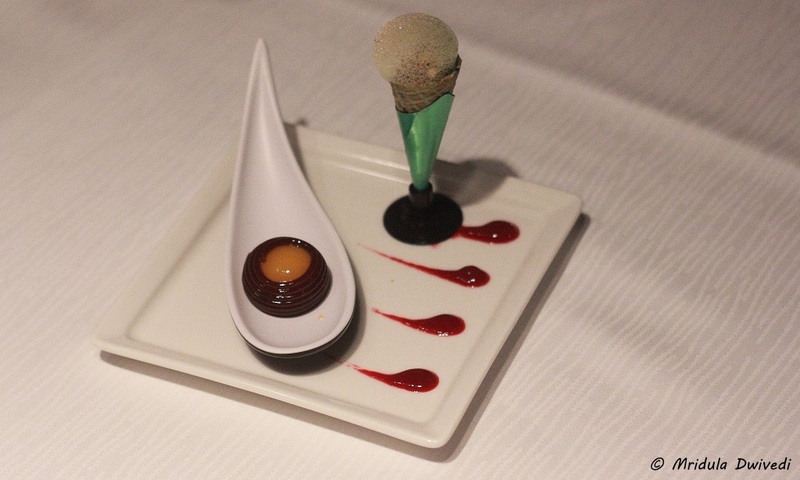 I enjoyed my lavish meal at Signature by Sanjeev Kapoor and I enjoyed my delightful room with a view! PS. My trip to Dubai was sponsored by flydubai!